Child Support, Visitation and Custody. 100% Guarantee. 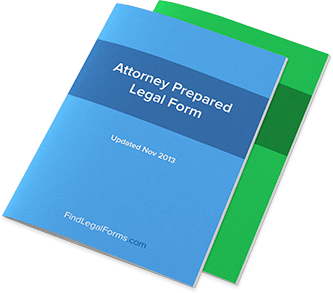 Forms for use by parties obtaining a divorce or who are receiving child support, including visitation worksheets and a notice of past due child support. Child Support, Visitation and Custody forms for use by parties who are obtaining a divorce or are divorced and receiving child support. Included are a kit which contains a questionnaire and worksheet, visitation worksheet and a notice of past due child support. Alimony Past Due Notice Used when giving a former spouse notification that alimony payments have not been received. Sets out the number of payments outstanding and the total alimony due. Child Support, Visitation and Custody Kits This Kit contains valuable information, questionnaires and worksheets to assist you in making difficult decisions regarding your children during a divorce proceeding. In the past, the law assumed that mothers were best suited to care for minor children. When a family was broken by divorce, there was a strong legal presumption that the mother, and only the mother, was to get custody. Traditionally, the only way a father could get custody was to prove that the mother was totally “unfit” to care for the child. This was a very difficult legal hurdle, given that the laws and the courts highly favored the mother having custody of any children. It required the father who desired custody to dredge up as much negative information as possible about the mother and present it in open court in as damaging a method as possible. This method of determining custody also tended to make the children pawns in the divorce negotiation, much to the detriment of the children. This presumption in favor of the mother being granted custody of minor children is no longer the law in any state. Both parents are now presumed to be equally qualified to be granted custody, unless there is strong evidence to the contrary. The gender of the parent is irrelevant. Sole custody by one parent is also no longer considered the only proper method for child care after divorce. Most states have adopted rules allowing and even encouraging joint custody by both natural parents. In practice, however, mothers continue to retain custody in the vast majority of the cases. Physical custody of minor children is still awarded to mothers in some 90 percent of all custody cases. This is simply a reflection of the fact that mothers in the U.S. are still overwhelmingly the primary caregivers to children. Increasingly, however, divorced fathers have been allowed more voice in the major decisions affecting the child through the alternative of “joint” custody. A further major change in divorce laws as they relate to children is the adoption by all states of the Uniform Child Custody Jurisdiction Act. This act attempts to deal with the problem of child-snatching and parents taking children across state borders in an attempt to avoid adverse custody decisions. One of the continuing tragedies of divorce is the failure of many children of divorce to receive adequate child support. In over 50 percent of all child support situations, the required payments are either paid late or not at all. Even in those cases where the payments are made on time, many of the child support awards are totally inadequate to provide satisfactory care for the children. Dramatic changes in the laws relating to child support have been enacted in the last decade in an effort to correct this situation. Mandated by recent federal legislation, comprehensive new guidelines for determining the level of support required have recently been adopted in individual states. These detailed rules provide specific procedures and criteria for assuring that each child receives adequate support from both parents upon divorce. In an effort to institute a national system to enforce the collection of delinquent child support payments, the Uniform Reciprocal Enforcement of Support Act has been ad¬opted by all states. Numerous strict laws have also been passed in many states to aid in the collection of overdue support payments. In addition, the federal government has enacted other tough national legislation in an attempt to solve this problem.